An upscale day spa doesn’t just sell manicures and detox scrubs, they sell an experience—a haven from the stresses of everyday life. Spa personnel need to be extremely attentive to their clients’ needs to create the ideal spa experience. To preserve a tranquil ambiance, there must be order and organization behind the scenes. When a massage client waits a half hour for a late therapist who was confused about the schedule, the appointment starts out on the wrong foot and may never get back on track. 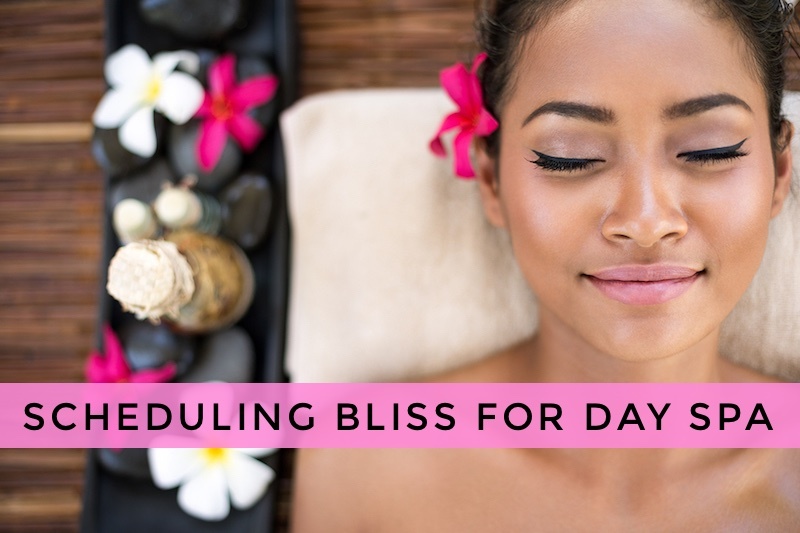 Our example day spa/salon was afraid that it would start losing guests because staff scheduling chaos and just-under-the-surface employee job frustration detracted from what was supposed to be a relaxing, nurturing environment. The manager and the owner concluded that they desperately needed an advanced scheduling system to tame the chaos and restore an atmosphere that would let employees attentively serve their visitors. The owner gave the manager a budget and directed her to research and pick the one she thought was best for their organization. Determined to carry out thorough due diligence with this important organizational process upgrade, the manager carefully compared tools of the leading platforms and saw many demos. After painstaking investigation, she settled on Workforce Management Suite, which also turned out to be the most cost-effective. TimeSimplicity for simplified day spa employee scheduling and mobile coordination. TimeSimplicity’s drag-and-drop scheduling allowed the manager to establish schedules in just a few minutes and make changes in just a few seconds. The system handles part-time and contract workers just as handily as full time employees. She doesn’t need to remember to text staff members whose shifts are changed because the system sends notifications automatically. That feature alone is a real game-changer and has transformed the atmosphere. The system is cloud-based, so all staff can monitor the schedule anytime from a mobile device. Job codes ensure that the staff members with the needed certifications are scheduled appropriately. Everyone appreciates the time card self-management tools that enable employees to view time cards and access HR information without having to go through the manager. Lastly, the system works seamlessly with their payroll processing service. Accuchex proudly delivers the ultimate tool for expedited spa/salon employee scheduling. If you own a spa or salon, we invite you to schedule a demo of Workforce Management Suite.